Der Artikel Lonely Planet: Food Trails wurde in den Warenkorb gelegt. Ihr Warenkorb enthält nun 1 Artikel im Wert von EUR 23,27. 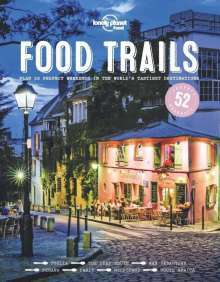 Food Trails featured include the BBQ trail in Texas, a food tour of Tokyo, Puglia's distinctive dishes, and Parisian patisserie. There are 52 Trails, each with gorgeous photography, a bespoke map, expert writing and practical details of how to get there and where to stay.